Hello friends! 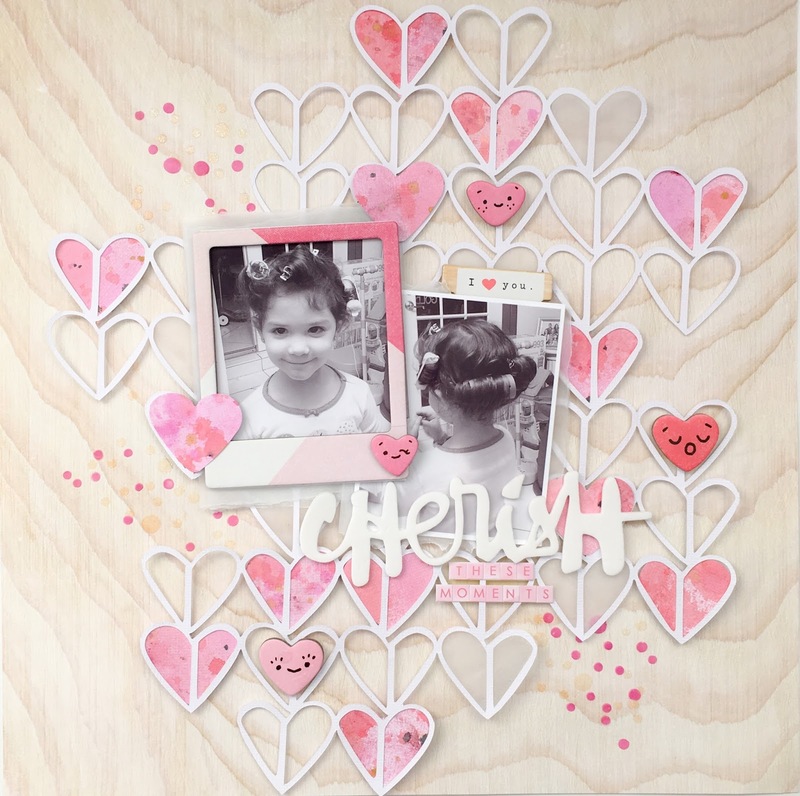 Katty here to share another 12x12 Layout with you all. I love the month of February and all colors associated with this month of "Love." I decided to use a mix of Pinks and Reds to create a fun blend of colors. At first, I wasn't quite sure what I was going to create. I just love playing with all of the fun Shimmerz Paints and blending colors to create a fun look. I am documenting two photos of my adorable niece. She wanted to wear her grandmothers hair curlers. She is just adorable and so full of personality. To document this moment, I wanted to create something fun. In the end, I really love how it turns out. I began with a white piece of cardstock. I used Coloringz in Pretty in Pink, My Bleeding Heart and Pink Stilettos. I used Vibez in Pop Art Pink, Sweet Heart and My Blushing Bride. I also used a Spritz in Cotton Candy. I used several techniques to create the look I was going for. I sprayed some of the mists, I used the packaging technique and I added splatters with the nozzle. Once I was happy with the blend of colors I also added splatters with Coloringz in Night Moves and Vibez in Glorious Day. I then used a heart punch and punched out several hearts from the sheet of paper. 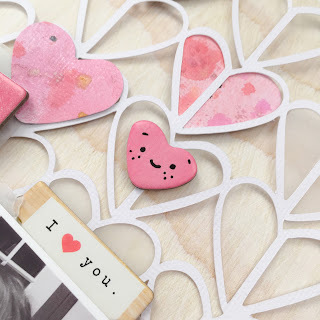 I also cut out some hearts from tracing paper. 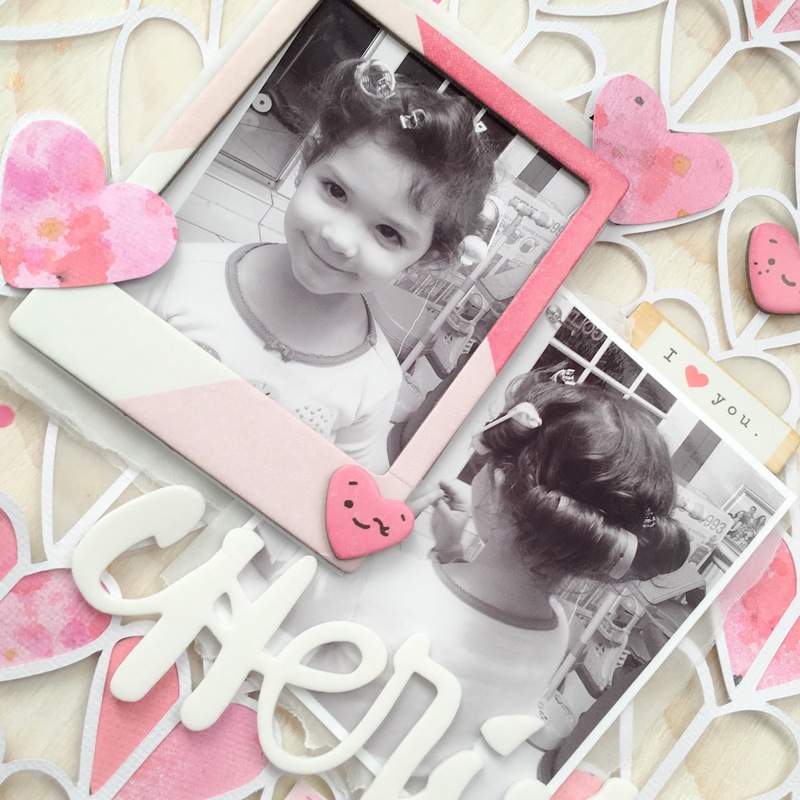 I decided to use a 12x12 Heart Cut File from The Cut Shoppe. I didn't use the whole 12x12 piece. I cut some of the hearts from the edges. 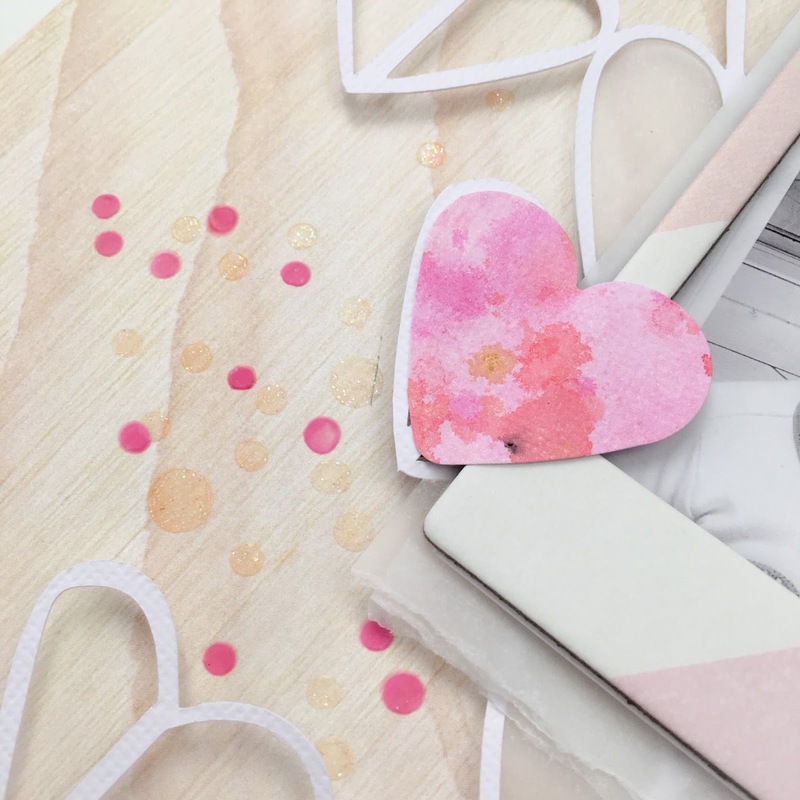 I backed the cut file with the colored hearts as well as with the hearts I cut out of tracing paper. I added foam to the back of the hearts so that the whole cut file was raised from the background paper. For the background paper I chose a light wood grain pattern from the Crate Paper Snow and Cocoa Collection. I added my two photos over the cut file. I embellished very simply using a few pieces from the Crate Paper Heart Day Chipboard sheet. I decided I wanted to add a little more interest to my layout. 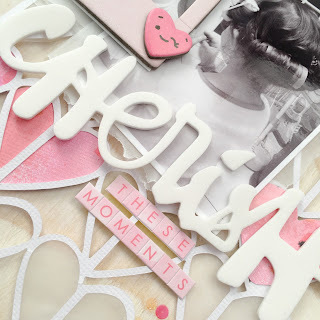 I used a Heidi Swapp circle stencil and added a few circles in three areas using the new Paste-eez in Puttin' on the Glitz and Raspberry Sherbert. I added a simple tittle using a white Amy Tangerine Foam word Thicker and some Websters Pages pink tiny alpha stickers. I love how it turned out. There is a video on my channel if you'd like to watch my process. Thanks so much for stopping by today! Remember to mention my name when you place your order and you will receive a FREE product.